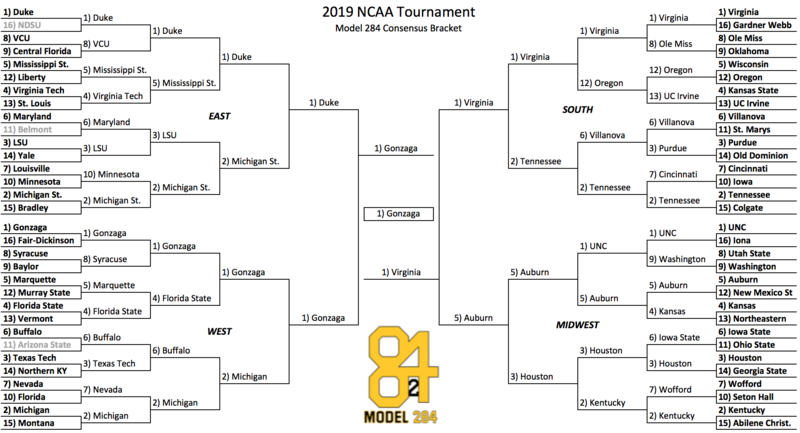 Below is our Model 284 consensus bracket for the 2019 NCAA Tournament. 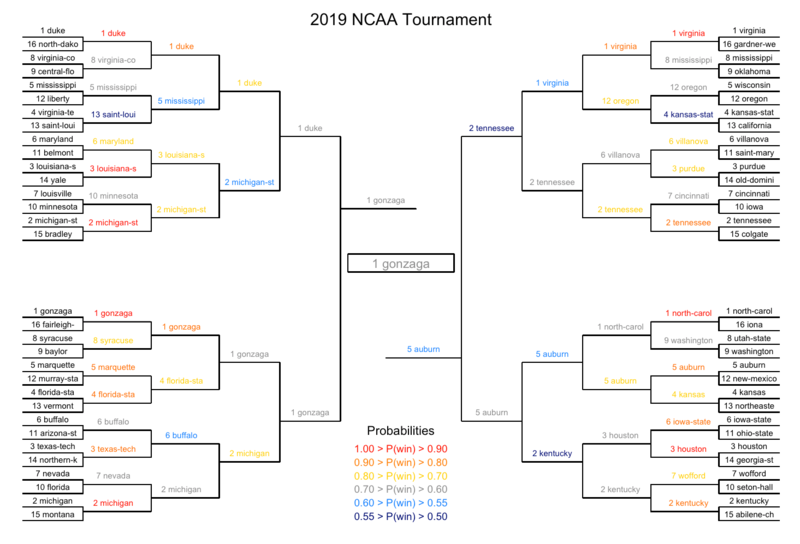 As you will see from our Game-by-Game Predictions and Tournament Simulation results, our bracket does not necessarily advance our model’s predicted winner for every single game. Rather, we use a combination of (1) our model’s individual game predictions, (2) our tournament simulation results, (3) injuries / other factors not captured by our models, and (4) consideration of public picks – to make sure we are differentiating our bracket enough from the most popular choices. For those interested, here is a bracket filled out purely using model predictions. Stay tuned to Model 284 throughout the tournament for updated predictions on every game!